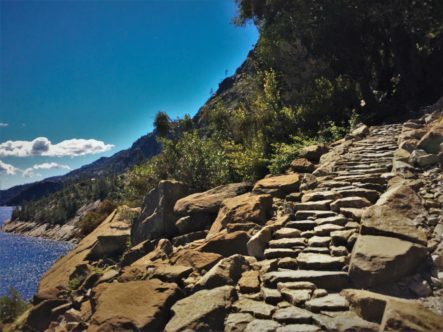 Going off the beaten path is something so many travelers strive for. 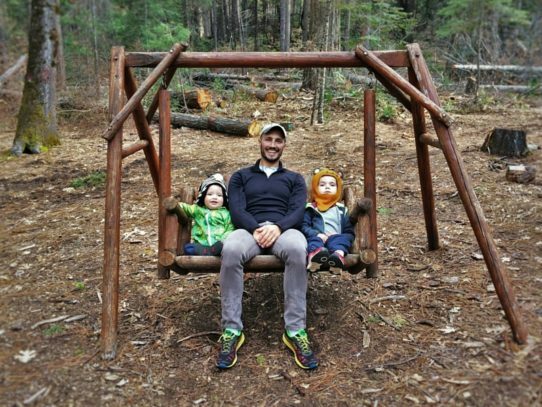 You know that we’re usually traveling with kids, so we try to experience the less-crowded areas of the world when we can so they can see what the earth is actually like. 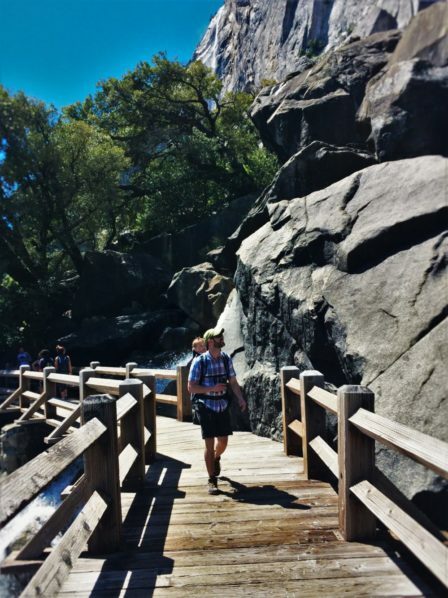 When you ask somebody if it’s quiet in Yosemite National Park they’ll most likely share how crazy crowded it is. 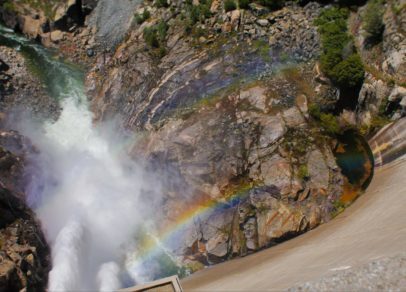 Well, the Hetch Hetchy area of Yosemite is empty. Definitely the road less traveled. 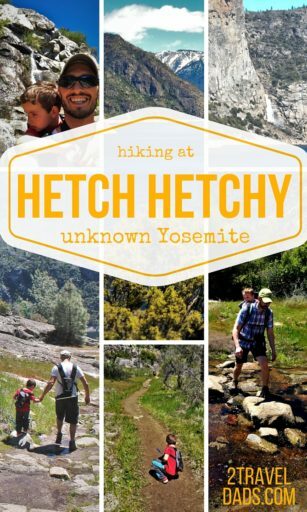 Hetch Hetchy? Where’s that? What’s that?!?! It’s a lesser known area in the northwestern portion of Yosemite National Park. 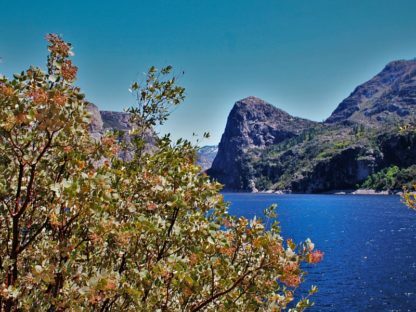 It’s not difficult to get to and its cliffs and waterfalls rival any others in the Park, so why is it so quiet there? Don’t know, don’t care, it’s amazing. 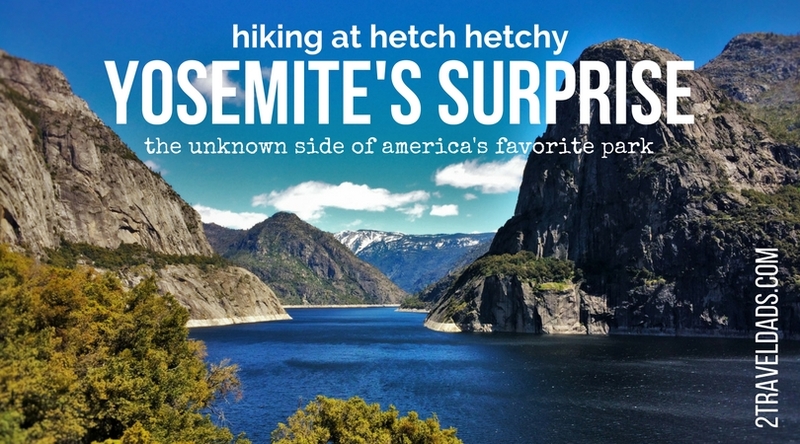 Like we said, Hetch Hetchy is in the northwestern section of Yosemite National Park. 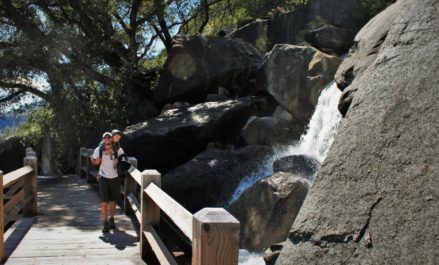 If you’re doing all of the main Yosemite things, such as stopping at Tunnel View or doing the Yosemite Valley Tram Tour, you’ll need to head north and exit the Park through the Big Oak Flat entrance. 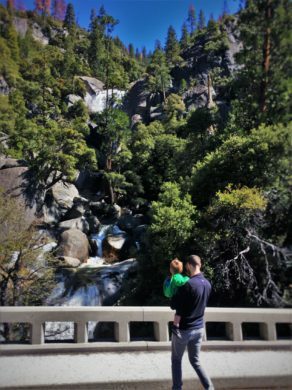 The scenery on the way up is amazing (duh, it’s Yosemite) including lots of waterfalls and vistas to pull out at. Oh, and as you’re leaving the Park, there’s a really beautiful National Park entrance sign that you need to stop at. Tip: we’ve started taking family pictures at National Park entrance signs. They’re a great way to document your visit and typically pretty iconic as something generations of visitors recognize. Once you’ve left the Park and feel like your next stop is Sacramento, you head down Evergreen Road. It’s a windy road and has potholes, but it’s beautiful. 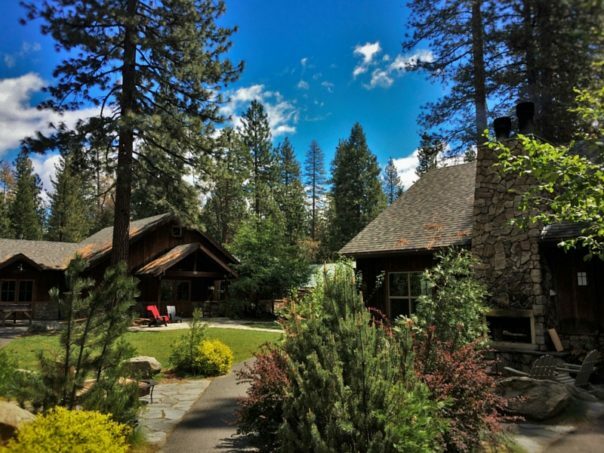 You then must drive through the actual Evergreen Lodge property (totally weird) to continue towards the Hetch Hetchy entrance. Once you think you’re maybe lost, you’ll see you’ve arrive at the correct spot. The Park Ranger will document your license plate number and how many people are entering, and then they’ll give you a ticket number to be returned upon exit. 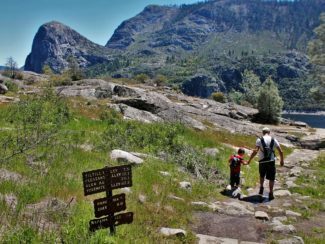 You cannot stay overnight in the Hetch Hetchy area unless you’re backpacking with a permit. 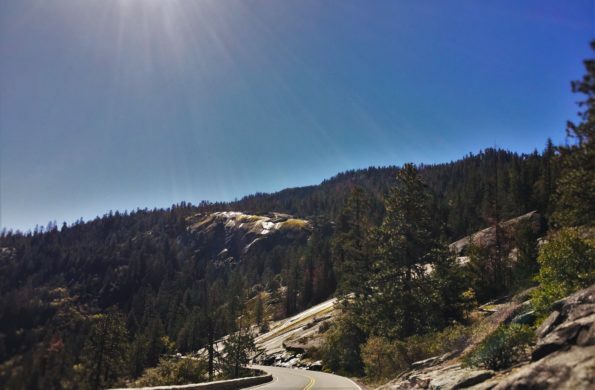 You drive VERY CAREFULLY, as they see more bears in this area of Yosemite National Park than any other and there are also some frightening cliffs you’re traveling on top of. After 20 minutes though, you’re there! 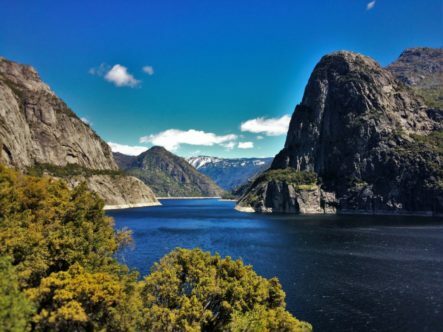 There are two parking areas in the Hetch Hetchy area of Yosemite National Park. The first is just up from the reservoir and has several picnic tables in the shade. There are also restroom facilities and potable water to fill your water bottles. STOP HERE. The second parking area is by the entrance to the dam. There is plenty of parking in either area, but after a super long hike in the hot sun, you’ll want to have parked right next to the dam. 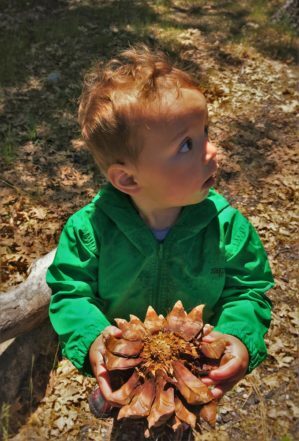 Tip: while it’s always fun to bring a picnic on a hike, we’ve found it more helpful and easy to picnic first and then bring snacks on the hike. Less to carry, more energy to start out. If you’re into picnics, check out our post on best places to picnic in Yellowstone. We’ll tell you now, this was one of the most diverse hiking experiences we’ve ever had, and there was never a point in the hike where we didn’t have an amazing view of something. Just check it out! 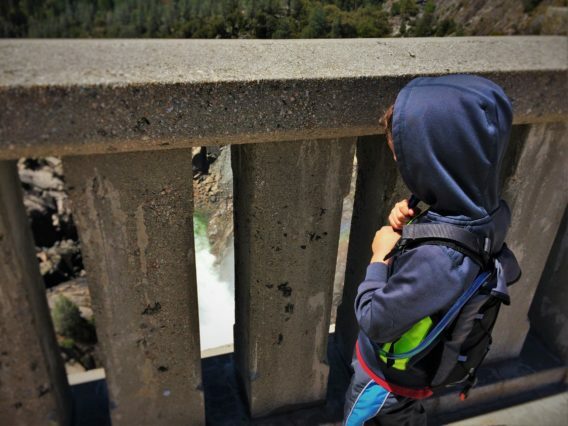 Once you’ve had your picnic and are ready to start on your hike, you head across the O’Shaughnessy Dam and then you get to go through your own personal hurricane… I mean tunnel. 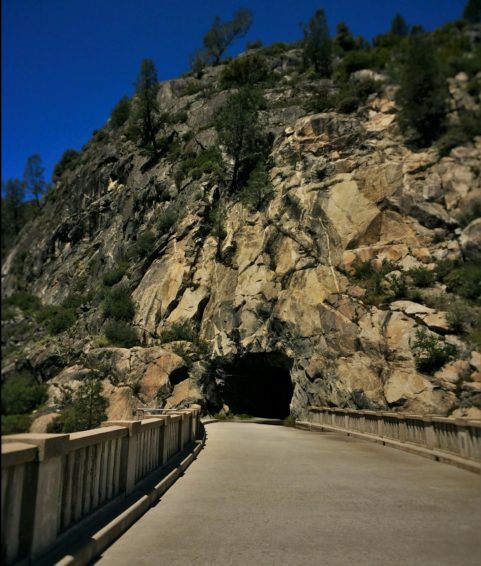 You must go through a quarter mile long tunnel to continue on your hike, and due to its placement in the valley the wind blasts through the tunnel with crazy force. 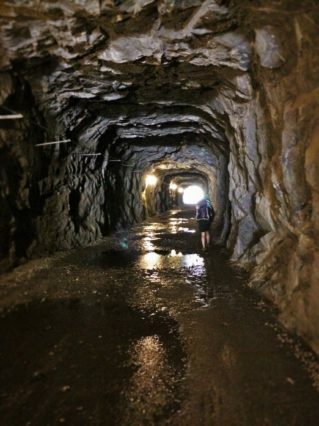 There’s a similar tunnel to hike through at Ptarmigan Pass in Glacier National Park. Tip: carry little kids through as much of the tunnel as you can, as the wind is strong and there are HUGE puddles in the tunnel. 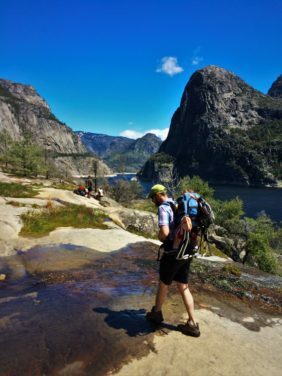 After leaving the tunnel, you get to enjoy the mellow walk along the shore of the Hetch Hetchy Reservoir, which then does become more and more difficult. Most of the hike is in the sun, but there are plenty of shady spots for a rest. 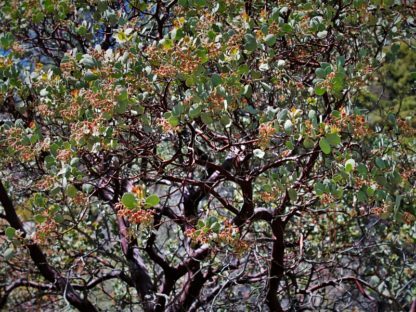 All of this sunshine is perfect for one of the coolest plants in the Sierra Nevada mountains: the manzanita. 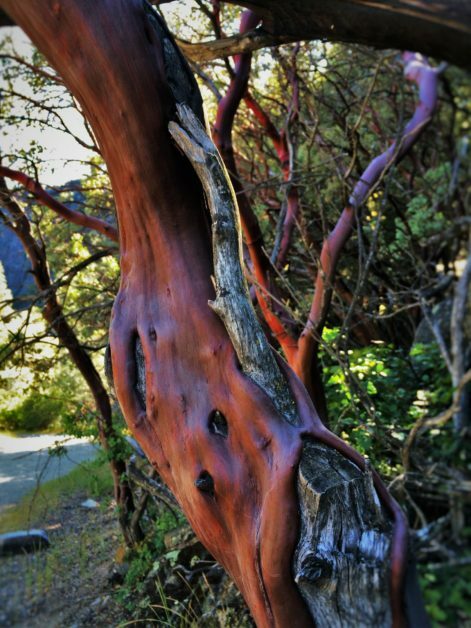 It’s a beautiful bush that looks like the cross between a madrona tree and a crab apple. It’s so beautiful and I wish we could grow them in our yard in Washington. 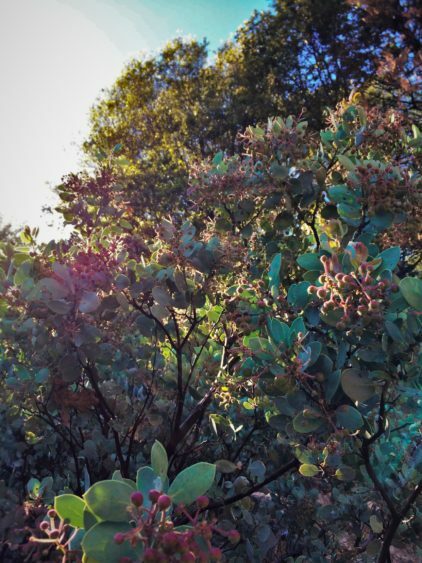 Their leaves are reminiscent of eucalyptus and the bark is a beautiful orangish red. Love them! 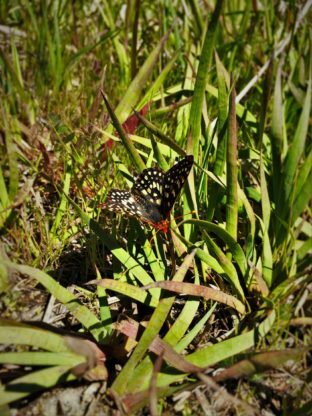 Another amazingly beautiful aspect of the hike, and what the kids appreciated the most, were the butterflies. They were not just flitting around and being cute, but they were covering the ground and we had to be careful to not step on them. 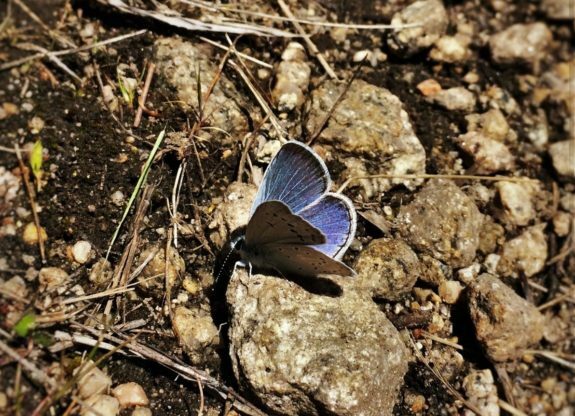 There were several areas along the hike that were rampant with butterflies. Nothing to complain about. 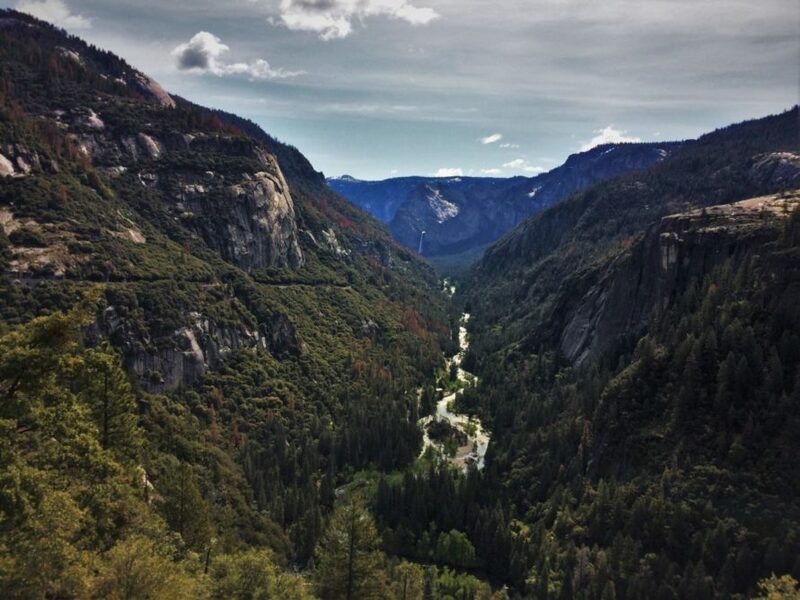 Yosemite National Park is one big huge granite chunk of earth. It makes for striking cliffs, beautiful like, waterfalls… and flowing meadows? Yes! 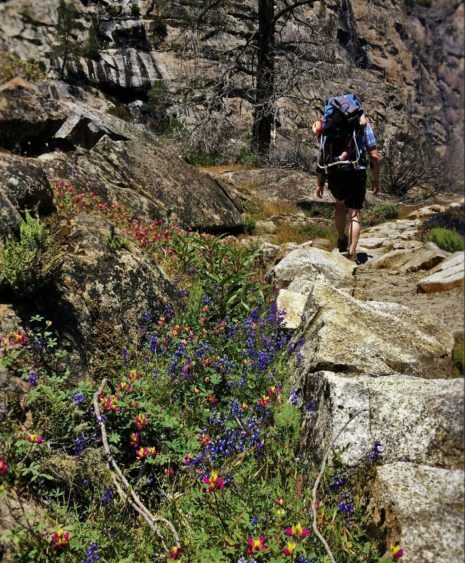 As we were hiking Hetch Hetchy we came across the most magical meadows with towering cliffs above them. What gave the meadows a magical feel were the tiny streams flowing through them. Because the meadows grow on solid granite, there’s no place for the water to go and it just flows in a calm sheet of water down the hill. Hiking across this was fun because we got to jump from rock to rock, but then also there were a few opportunities to splash in the water a bit. On a hot day like we were experiencing, the meadow streams of Hetchy Hetchy were a welcome sight. The kids loved this spot to take a rest… which led to wet butts. 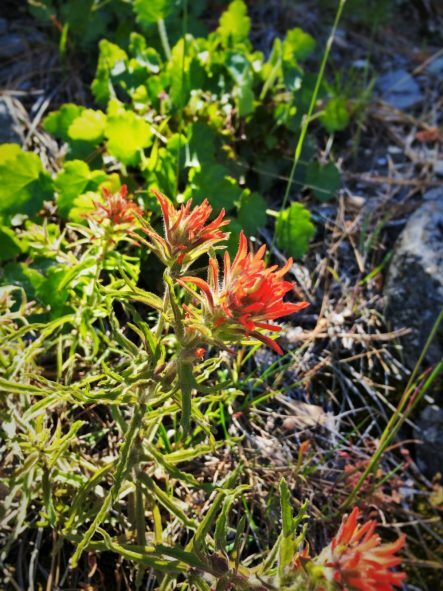 Note: don’t be a meadow-stomper. 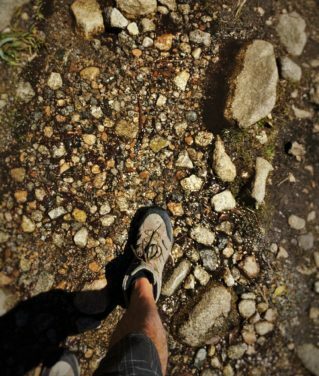 Stay on trails and designated paths. There are large exposed rocks you can rest on here though, so you’re all good. As you know by now, the hike is 90% along the reservoir so you always get to see the most beautiful blue water in all of California. Surrounding the water are a few waterfalls, the most prominent being Tueeulala and Wapama Falls, and countless rock features. Confession: from start to finish and using three different cameras, we took more than 100 pictures of Kolana Rock. Kolana Rock is a dome, just like what you see in the Yosemite Valley, but it’s juxtaposed against the water. It’s just such a beautiful sight you’ll need to sit and take in the view ever two hundred feet or so. Ahhh, the purpose of our hike. After the short but tiring 2.5 mile hike to the falls, we weren’t disappointed. Starting at the top of a granite cliff (cuz it’s Yosemite, right?) 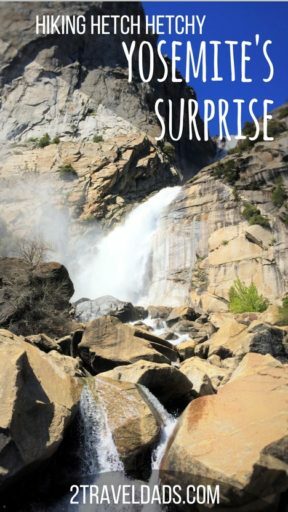 and cascading down several levels and then breaking into four different falls that pour into the Hetch Hetchy reservoir. 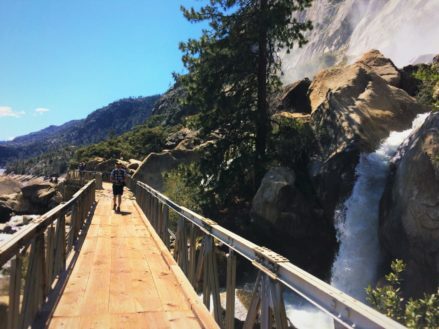 Each of the falls has a small wooden or steel bridge crossing it and each offers a different view of the falls. Each spot also may or may not get you soaked from the mist, but that, of course, depends on the water level. 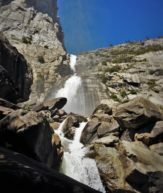 Hiking opportunity: If you want to continue hiking beyond Wapama Falls, the Hetch Hetchy area has another amazing waterfall, Rancheria Falls, another 4 miles past. We didn’t go that far, but heard it’s amazing. 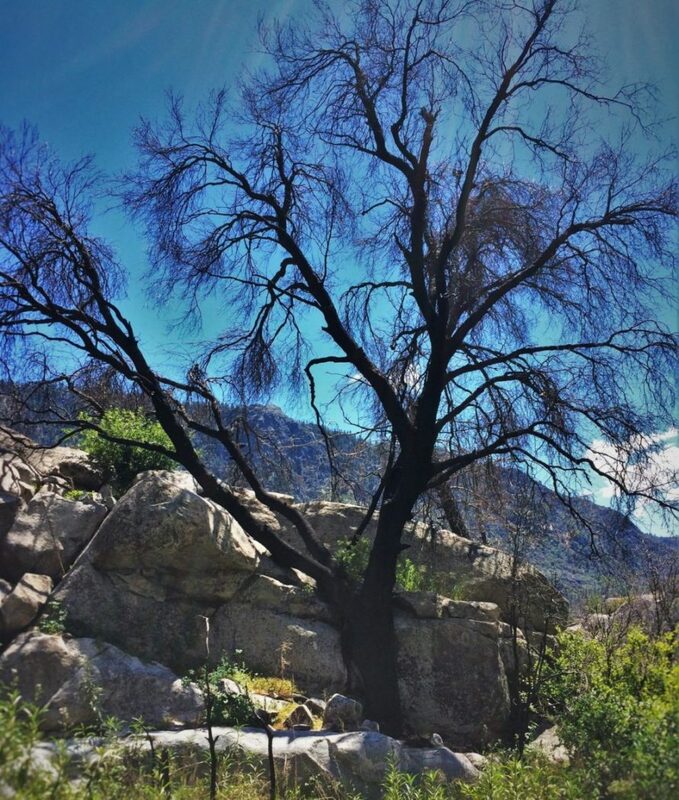 You cannot car-camp in the Hetch Hetchy area. 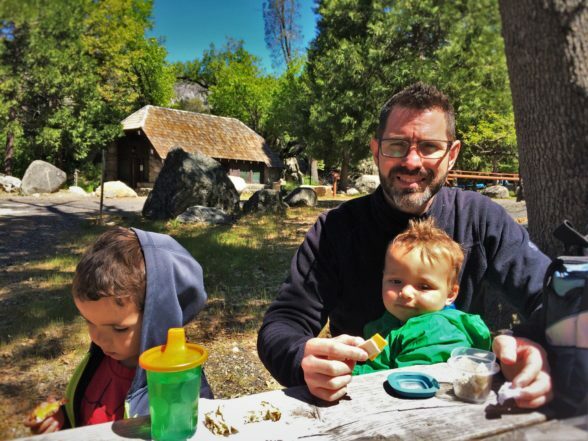 There is a rustic backpacking camp, but not a campground like many are used to in National Parks. We stayed at the Evergreen Lodge which is just outside the Park entrance. 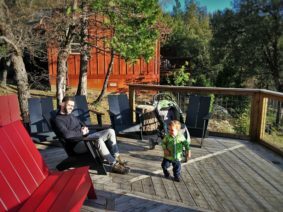 It was a beautiful setting and is truly designed for family travel and getting the full outdoor experience. 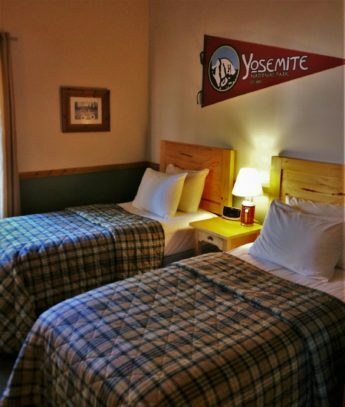 Check out our full article here, as the Evergreen Lodge is not to be missed and is really perfect for helping you achieve the calm, relaxing Yosemite experience so few get. See? 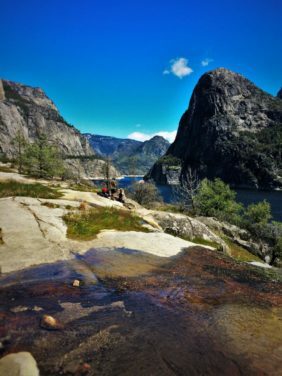 Hetch Hetchy is such a cool area and the millions of visitors to Yosemite National Park are completely missing out on it. 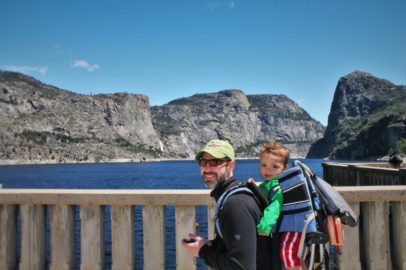 If you’re visiting the Park with kids, you must spend a day in the Hetch Hetchy area, as there are so many cool things to experience that you won’t get to see in the Yosemite Valley. You’ll have a completely different experience here than anywhere else! 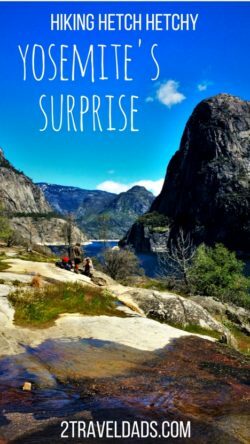 And if you want to pin this for later when you’re plotting out your Yosemite National Park experience, go for it! 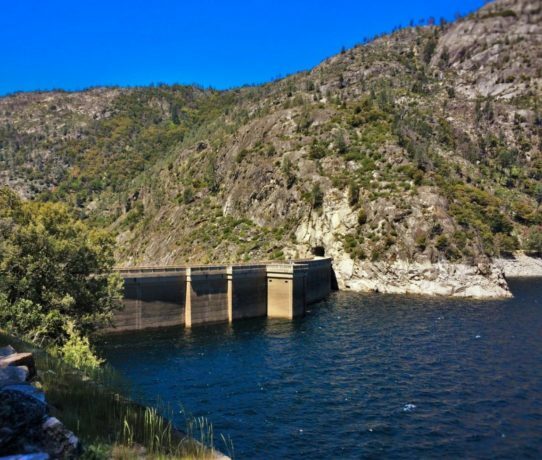 I have only been to a small part of Hetch Hetchy. So nice to be reminded of it and see more of it. This is such a comprehensive and fun post. 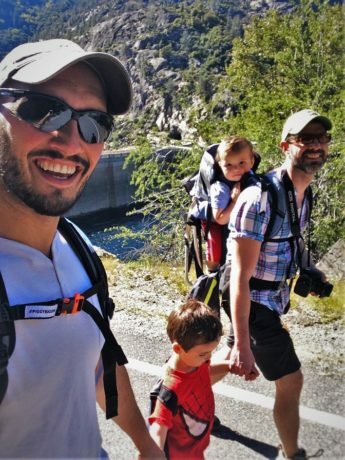 It was a delight to hear about your hike and enjoy the scenery right along with you. Loved it. This is an awesome post. 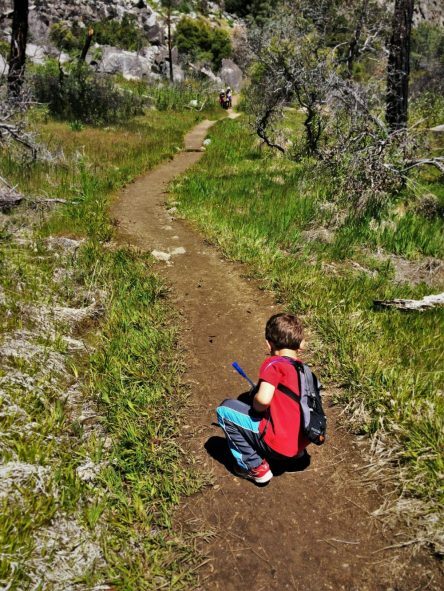 We love hiking, so it’s great to get some insider information on what trails are like with kids. And that video … It left me in shock for the lives of all the butterflies that have landed on me in the past and made me feel like a terrible person. This looks fantastic. 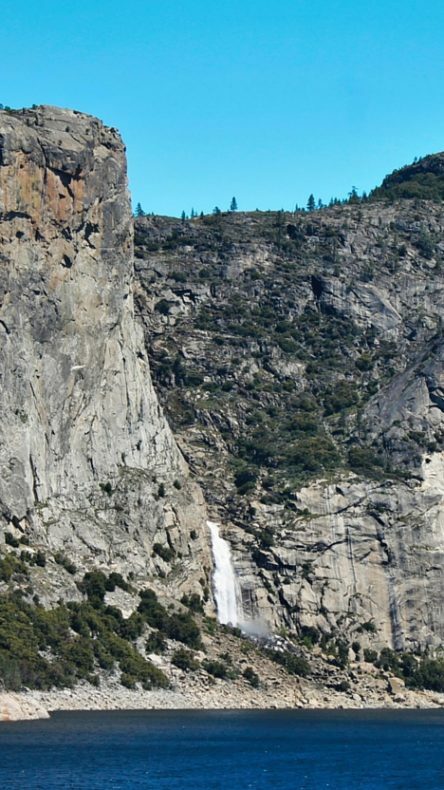 Yosemite is on our list. One of the few NP I want to go to that I haven’t been to yet. We are planning to go during off season but I am going here whenever we go! Thanks for the tip. What an incredible experience! I would absolutely love to see Yosemite and hike the Hetch Hetchy! Thanks for sharing. Definitely pinning this for future reference.